Thank you to Girl Scouts for sponsoring this post and inspiring today's discussion. As always, all opinions are my own. I've mentioned before that I'm an active volunteer in my community. Almost three years ago when my daughter wanted to join Girl Scouts, I thought it was a great way for her to make friends in our new town. Since we were new to the area, I went with her to her first few meetings. The leader asked me to help out, and the next year I became the assistant leader. My daughter loves Girl Scouts because she has made a lot of friends, and I love the skills and values the program teaches her. We are shaping our girls for the future by teaching them to be leaders and more responsible for themselves and others. In their Daisy year, the girls go on a journey Between Earth and Sky with Healthy Habits. During the journey, girls learn about animals, trees, and plants in nature while learning how to be a good friend and a leader. Brownies learn WOW! Wonders of Water with Healthy Habits, which teaches them the paths that water takes and how to protect this valuable resource. They also learn how to inspire others, speak effectively, and how to work together. Get Moving! with Healthy Habits is the Junior journey, and it's based on the same journey I did with my girls last year. The girls learn about the Earth's energy as well as their own and further increase their leadership skills. I have personally used the Daisy and Junior journeys before the update. The journeys are mostly the same, but there is more talk about our personal energy--calories in and calories out-- and learning how our bodies need energy to survive, but it's also important to be active to use some of that energy. 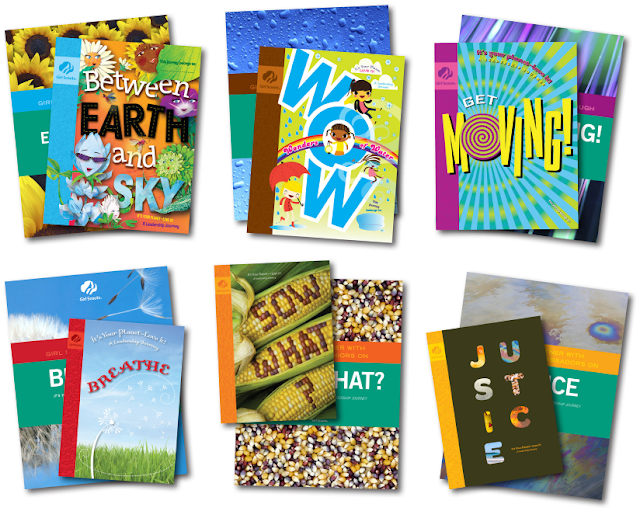 In the journey books, there are several reminders to talk about healthy eating and exercise. The Healthy Weight Commitment Foundation provides the The Together Counts program to educate girls about physical activity and healthy nutrition, which can combat obesity. The program promotes Energy Balance, balancing calories we eat versus the calories to expend during activity. Even before the Energy Balance program, we promoted being active within our troop. When I led the Daisies two years ago, we started off each meeting with 15 minutes of physical activity so they could get active before we sat down to learn. As a group, we took nature walks, played games, and went camping. 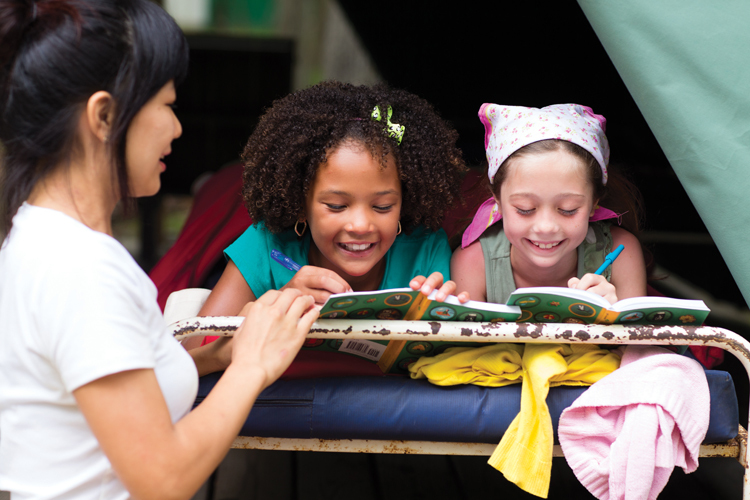 Girl Scouts also has day camps and resident camps available for all girls. During camp, the girls hike, kayak, rock climb, and do archery to get active. My daughter and I both love Girl Scouts. The program is girl-led, which teaches leadership and responsibility. As an adult volunteer, I love that they offer free training and support when we need it. If you're interested in signing your daughter up for Girl Scouts, find a local council here.